G-Camp has hosted more than 300 teachers over the last decade, impacting more than 100,000 students. Learning geology in a classroom and laboratory is key to understanding and teaching Earth systems, but experiencing geology first-hand in the field is a whole different story. Instead of chalkboards on the horizon, wide-open vistas fill your eyes. Instead of typing notes on a keyboard, your hiking boots slide and skid on slick clays, and your hand reaches for a rock ledge that holds millions of years of history in its layers. 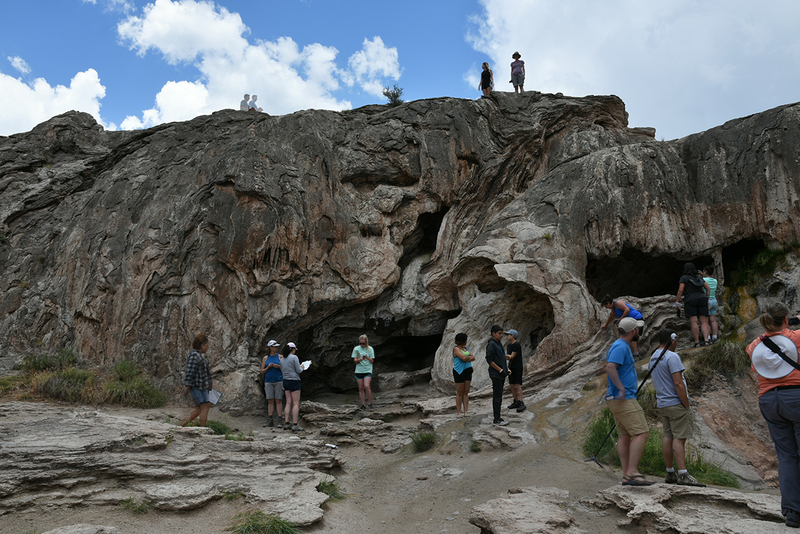 There’s nothing like experiencing the extraordinary features of the Black Canyon of the Gunnison or Carlsbad Caverns for the first time, and each summer for the last ten years Texas A&M University’s College of Geosciences has given that opportunity to STEM educators from throughout Texas and the United States. 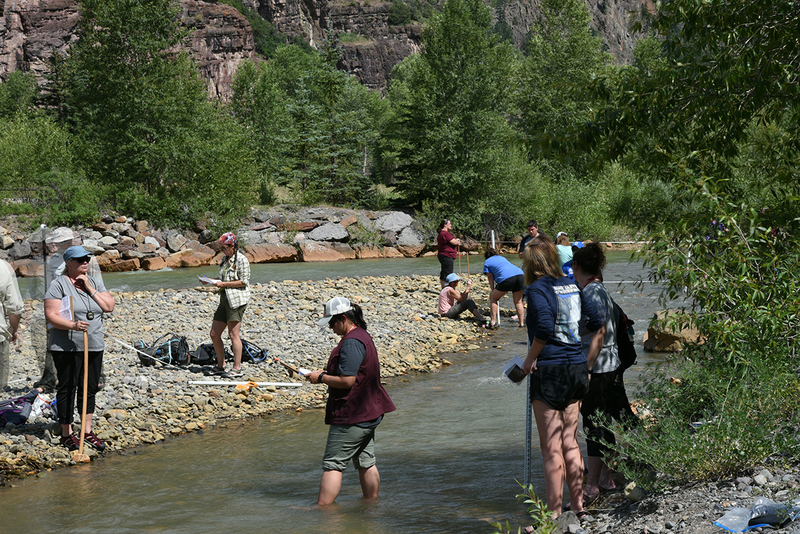 G-Camp for Teachers takes 36 fifth through 12th grade teachers on a three-week field trip through the Southwest U.S. to study geological features and develop curricula. This summer’s itinerary begins June 26 and concludes July 13, and includes adventures everywhere from the slopes of volcanoes, to the footwalls of faults, in the depths of glacial valleys, on the toes of landslides, and in pristine streams and ancient marine deposits, Giardino said. Saudi Aramco is the lead sponsor of G-Camp, and the company has continually supported G-Camp for many years. Generous donations from Chevron and ConocoPhillips also helped support G-Camp in the program’s early years. “Saudi Aramco makes G-Camp for Teachers possible, ensuring that the program is able to educate and inspire teachers every summer,” he said. Attendees only have to pay for their transportation to College Station; once they arrive in Aggieland, their food, housing, and travel costs for the entire three weeks are covered by the program. Teachers Sue Garcia and Cheryl Hammons both attended the first G-Camp in 2008. After returning from G-Camp, Cheryl conducted experiments with her middle school students. Like Sue and Cheryl, many participating teachers report renewed enthusiasm for their subject matter after G-Camp, venturing beyond books more often, developing new labs, and using slides and videos from the trip to illustrate geological principles. Inspiring and equipping geosciences educators results in higher quality education for students, helping recruit and inform the next generation of Earth scientists. The cost to operate G-Camp is about $140,000 per year. Much of the annual cost is covered through gifts from sponsors, but an additional endowment would ensure the program in perpetuity. Endowments can be established with a gift of $25,000 or more, through the Texas A&M Foundation. 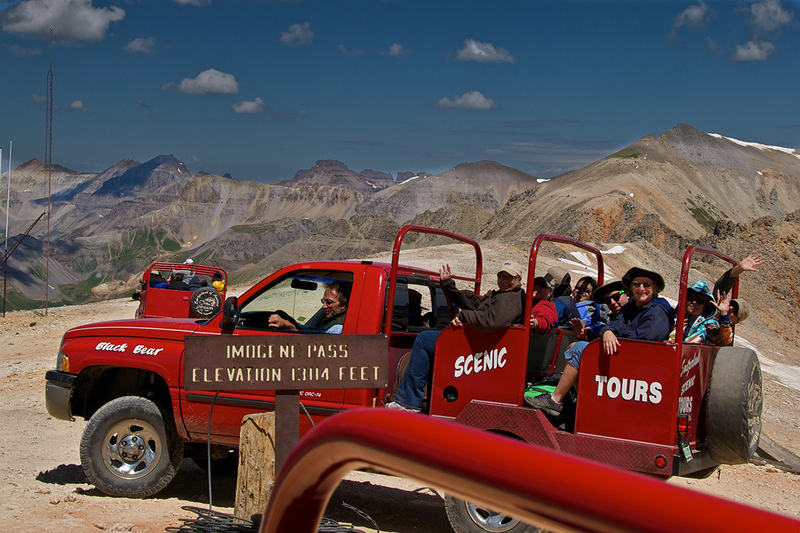 Learn more about supporting G-Camp and the College of Geosciences.